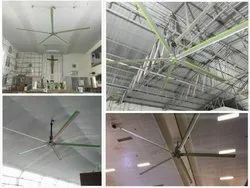 he Kelley HVLS Fan’s airfoil style blade design produces a massive, cylindrical column of air that flows down to the floor and outward in all directions, creating a horizontal floor jet that consistently circulates vertically toward the blades. 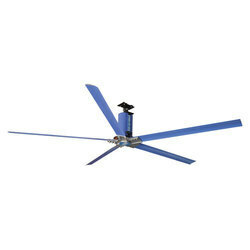 The greater the down flow, the greater the air circulation and resulting benefits. Area covered: Upto 20, 000 sp.ft. Maximum Height of Installation: 60ft. Universal Engineering and Shanghai Fast Link Co. Ltd jointly collaborated in a major step to establish Fast Link India. Fast Link is a leading manufacturer of Industrial Products such as Sectional Doors, High Speed Doors, Industrial Shutters, Dock Leveler, Vehicle Restraints, HVLS Fans etc. The aim is to provide high quality Solutions for energy saving in the workplace.